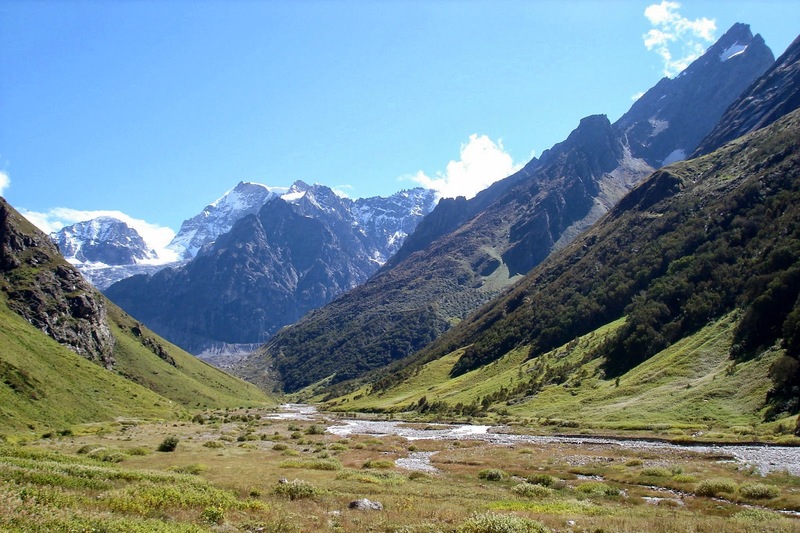 The picture above culminates our trek to the Valley of Flowers, at least to those, like us, who really want to explore the end of the valley. But if you have ample time left before heading back to Gangharia you can go even farther. As you may observe, there are no flowers visible in this photograph, that is because we visited this place in September, which is generally not the best month, as suggested by many. June - August are the months to see varied flowers. But the main disadvantage around these months is that they're the busiest months. Tourists, pilgrims, and locals swarm Gangharia like flies to an open wound. And we hate that! Around these months, too, prices of hotels are higher than the Himalayas. Looking at the picture on the left feels like the mountain just splits into half and eventually slowly forming a valley. 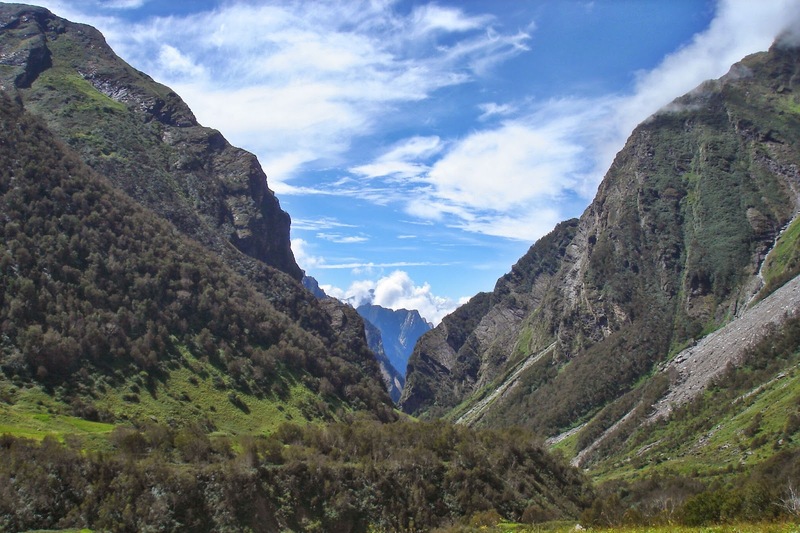 So, if you plan to visit this valley, better choose a bright clear day to witness the enchanting beauty fully, otherwise you'll be like us who needed to trek twice in order to gaze its everlasting glory. We really did trek twice during our first visit. On the first day, we started at 6 in the morning and reached the valley before 9 then stayed for about 2 hours because it was gloomy and cloudy and when we arrived at the valley itself it was even drizzling. We waited for the sky to clear up but it didn't happen so we decided to go back and headed to Hemkund Sahib that noon itself. It was 12:30 pm when we started moving towards Hemkund Sahib, reached there at 3:30, stayed for an hour then we headed back to Gangharia. Then the following morning we trekked back to VoF and tried our luck. This time, the sky was so clear we could take these photos, among others. This time we stayed a little longer. 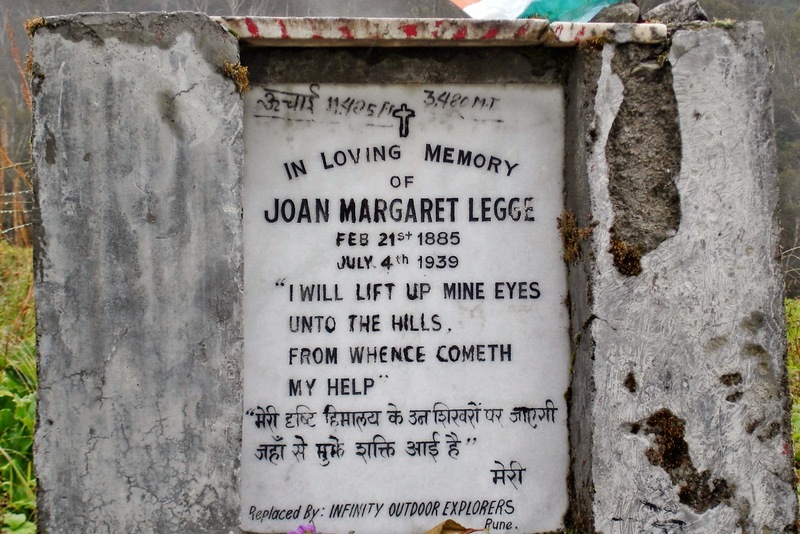 This memorial of Margaret Legge, who thought to have slipped off while traversing some steep, rocky slopes collecting flowers, was erected at the place where locals found her belongings for her body was never found. 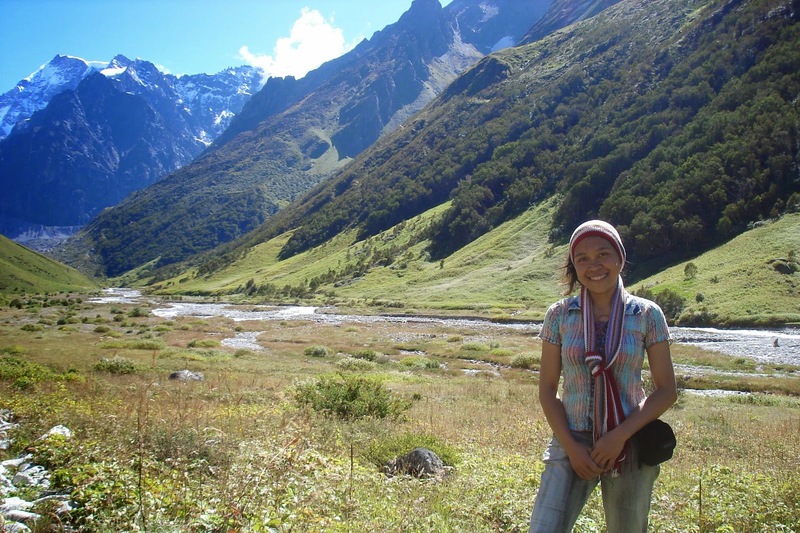 She was a botanist studying the flowers of the valley. Finally, my own photograph at the end of our trek only to trek 20 kilometers more towards Govindghat for we have achieved the purpose of our visit. It feels good to be home already!